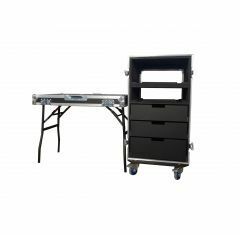 Practical and protective, our production flight cases provide a portable work-space and high-quality storage solution. 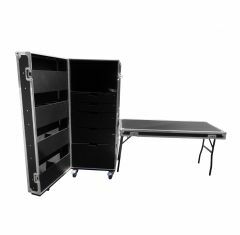 Production cases are ideal for use at events when you need a work-space set up quickly. 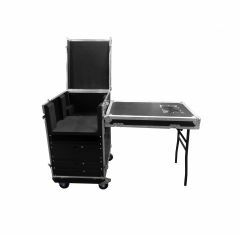 Our production flight case range has been designed and built with quality in mind. We use only the best tried and tested materials and furniture to ensure the product exceeds your expectations. Our cases can be custom-made to suit your exact requirements. Please note: we do not keep stock of our flight cases. 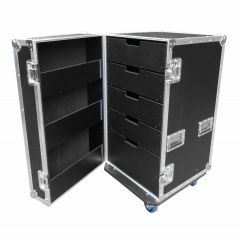 All our flight cases are made to order, please contact us for an exact lead time.